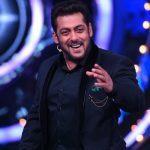 Recently the Karan-Arjun of Bollywood, Salman Khan and Shahrukh Khan reunited for Kabir Khan’s Tubelight which was released on June 23 but unfortunately got failed to impress viewers. In this Salman starrer war drama, SRK did a cameo as magician Gogo Pasha. 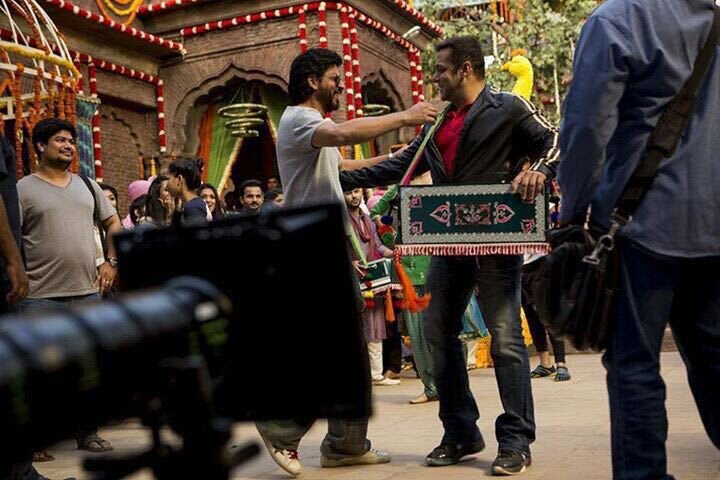 Now returning the favor, Salman Khan making an appearance with Shahrukh in filmmaker Aanand L Rai’s next film for a song. 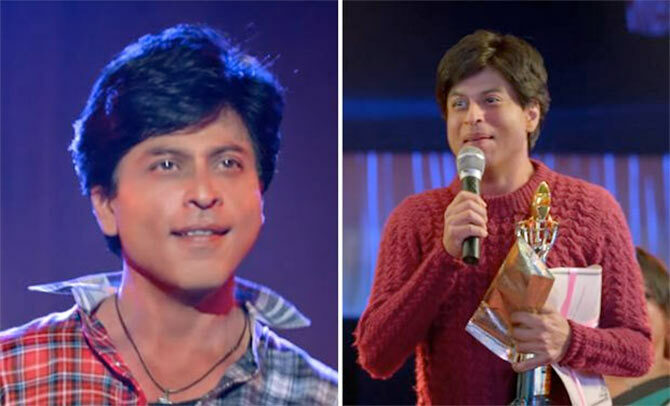 This upcoming venture is untitled yet and tentatively known as dwarf film, as SRK is playing as a dwarf in it. 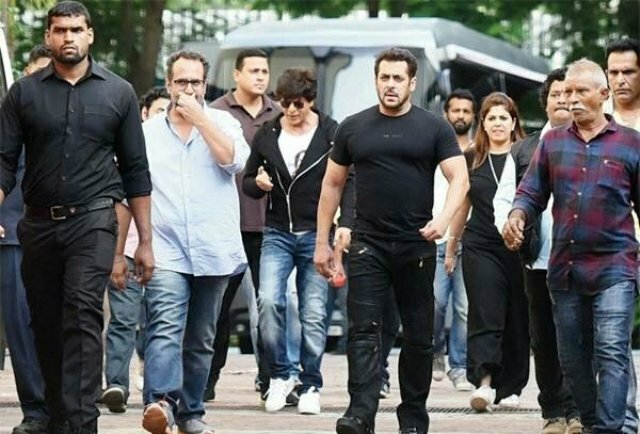 On Wednesday morning, fans shared a picture of Salman Khan spotted on the sets of film with Shahrukh and Aanand L Rai at a Suburban Studio, Mumbai. Reportedly both the actors will share a screen in a peppy number choreographed by Remo D’souza, for which rehearsals have already begun. Ever since this dwarf film has been announced, it is buzzing among fans. 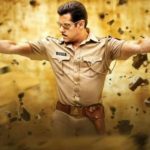 And now with the news of Salman Khan’s cameo, it has created more buzz and gained huge hype among moviegoers. Seeing two superstars shaking legs together, is like a dream come true for their fans. Aanand L. Rai’s directorial also stars Anushka Sharma and Katrina Kaif opposite to SRK and scheduled to be released on Christmas next year i.e. 21st December 2018. Meanwhile he is gearing up for his next Jab Harry Met Sejal with Anushka Sharma, all set to hit theaters on 4 August 2017.